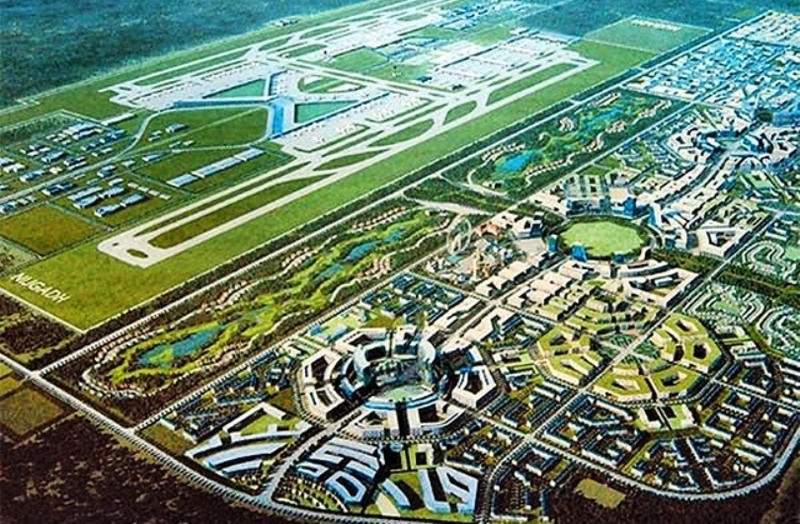 KATHMANDU, Sept 17: A total of 194,480 trees will have to be cut down to build Second International Airport (SIA) in Nijgadh of Bara, according to the Ministry of Culture, Tourism and Civil Aviation (MoCTCA). As per a government rule for National Pride Projects, 25 trees need to be planted for every tree fell by any development project and such plantation will have to be looked after for five years. But Ministry of Forest and Environment (MoFE), which has been entrusted the task of managing forest to compensate for the loss of trees on behalf of project implementing agency, has yet to prepare criteria for such replantation. The Guideline on Use of the Forest Land for National Pride Projects has clearly states that MoFE will identify forest land for replantation and also replant trees on behalf of the national pride projects. Among others, the criteria must fix the number of trees to be replanted as well as identify land for replantation as requested by the project implementing agency in case the agency fails to purchase private land to compensate for the loss of forest. Sindhu Prasad Dhungana, the spokesperson for the MoFE, admitted that there has been delay in setting criteria that is expected to facilitate national pride projects as well as other development projects. “We will proceed with the task of preparing the criteria after an amendment to the Forest Act paves the way for formation of Forest Development Fund that will have money for overall management of replantation,” added Dhungana. Currently, hydropower projects, which will be handed over to the government without any conditions after end of their gestation periods, can enjoy these facilities. But the MoFE will be able to provide such facilities to national pride projects only after the criteria are set, an official of MoFE told Republica. These arrangements are made for facilitating development projects, including 21 national pride projects which have seen delays and hurdles due to requirement of forest compensation, among others. Minister for Culture, Tourism and Civil Aviation Rabindra Adhikari has tabled a proposal, seeking permission of the MoFE to cut down tree for SIA. The proposal has drawn flak from different quarters with many raising concerns on the loss of forest. "The proposal has come as planned. The ministry will decide on the proposal only after it completes its study," Dhungana said. Buddhisagar Lamichhane, a joint secretary at the tourism ministry, said forest replacement is the next big task after getting permission for forest clearance. "We will sort the issue in coordination with the MoFE," he added. Tourism Minister Rabindra Adhikari said on Saturday that the government will build the airport but not the airport city. "We will initiate work of preparing DPR along with felling trees so that there won't be any delay in project execution," added Lamichhane.